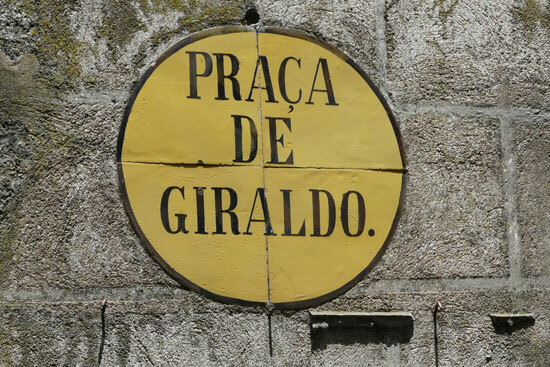 At walking distance you’ll find the village of Aldeia do Rouquenho. A small shop is situated here where you can by fresh bread. 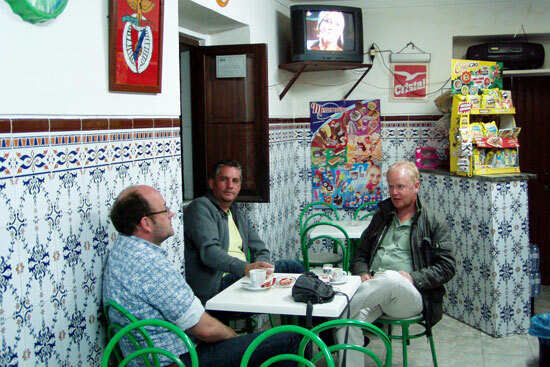 The typically Portuguese café of Otavio provides delicious coffee or a cool beer. Going the opposite direction you’ll finf the small village of Olhas. Next to the café is a little shop that provides basic shopping. 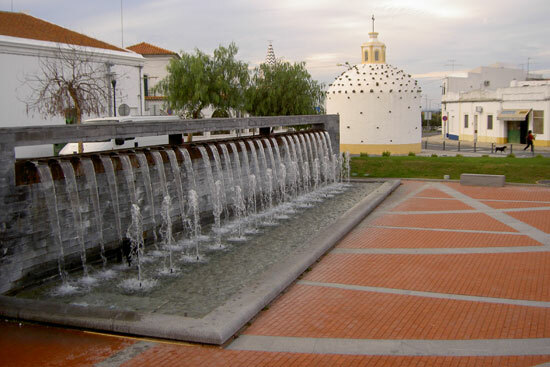 The town Ferreira do Alentejo is very old. It was already a town in the Roman ages. When the Visigoths tried to concur the town, the female blacksmith (ferreira) stood in front of the towns gates holding 2 hammers and thus drove the barbarians off. The small town, still tranquil like a village, nonetheless has a museum, library, cultural centre (also used as a cinema), a beautiful swimming pool, a tourist agency and a grand diversity of restaurants. Every first Saturday of the month there is a market. This is the Igreja de Madalena. The stones worked into the wall symbolise the stones thrown at Jesus. Every 8th December the feast of “Our beloved lady” takes place here. This is a lovely place to swim, go canoeing or enjoy other kinds of water sports. 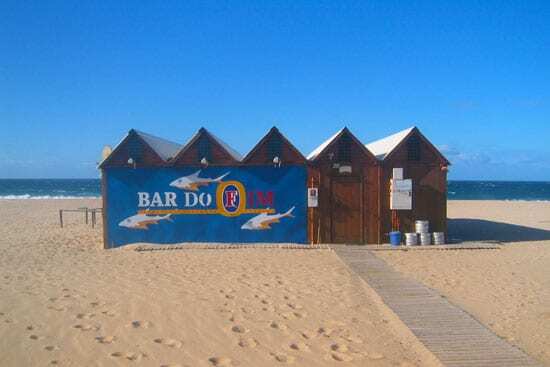 At the lake you’ll find among other things a BBQ site and a bar with terrace. 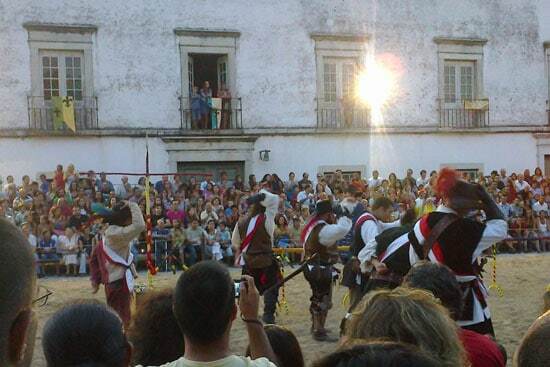 The historical city of Beja offers various possibilities for recreation. 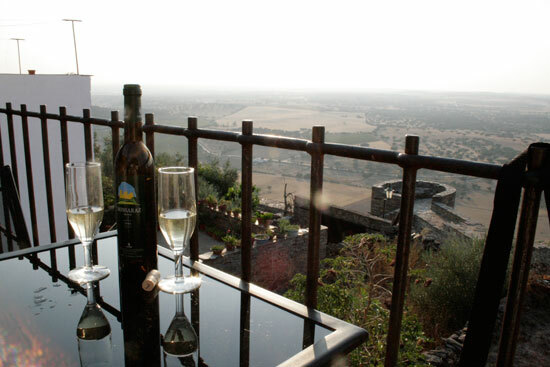 For the lovers of culture you can visit the castle and see the medieval buildings. You can also find buildings influenced with Moor and Roman culture. But obviously you can just go shopping and sit in the sun drinking a glass of wine at a nice bar. 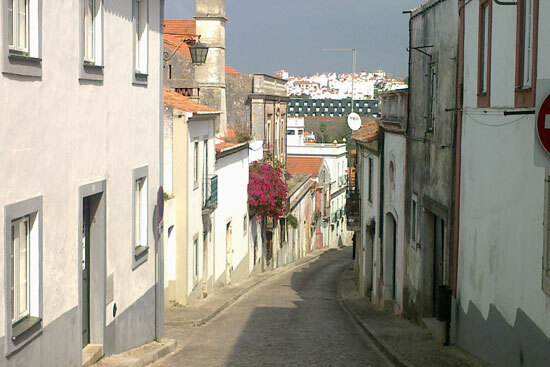 This cosy town is surrounded by a 6 km long wall from the 14th century. After the Reconquista she’s been the capital of Portugal for some time. 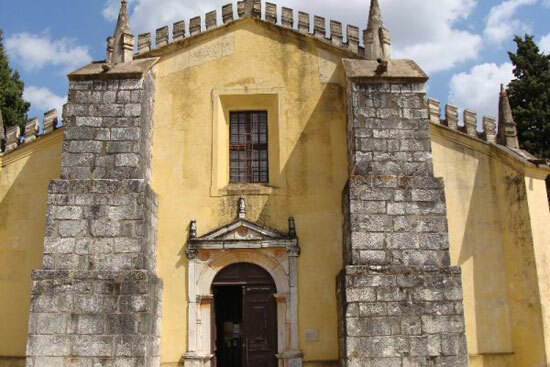 Evora offers a large selection of monumental buildings museums and Roman temples.